Download Free A5 Flyer Mockup PSD. Whether you sell graphic design prints, photographs, flyers, poster online or just want to show your clients how their flyer design will look before print, you will find this flyer in hand mockup really useful. A A5 flyer mockup for presenting your flyer, leaflet and other print design and it is also a useful to see how your designs will look in realistic way. Free flyer mockup PSD is based on smart objects so that you can easily place your design, change background color in just few clicks. Just double click on smart layer to replace your poster, flyer designs in just few seconds. 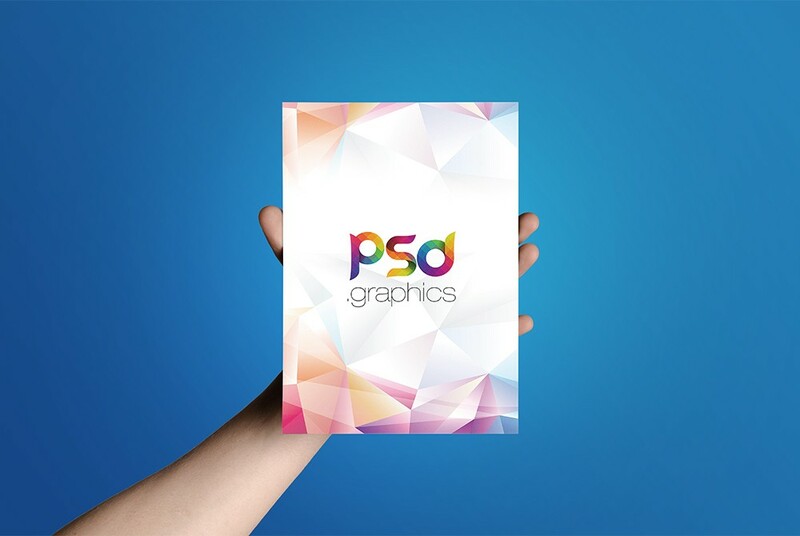 This A5 Flyer Mockup PSD is going to be very useful for your PSD mockups collection as well. Hope you like it. Enjoy!